When we received news that professional golfer Hunter Mahan had recently tied the knot, we knew we had to find out more about this local celeb’s winter wedding and all the goods on the girl that stole his heart! Ranked in the top 20 in the Official World Golf Ranking, this PGA star and his beautiful bride, Kandi Dawn Harris, were so incredibly down to earth and happy to answer any question we threw their way. Originally from Odessa, Kandi moved to Dallas at the age of 18 and has danced for the Dallas Mavericks before a three-year stint as a Dallas Cowboys Cheerleader. Kandi had just completed her time with the Dallas Cowboys Cheerleaders and headed back to school to finish up her degree when she met Hunter on a blind date! The couple instantly became a pair and Kandi began to accompany her beau on tour all over the world. Hunter knew he had found the one and surprised Kandi while on tour just days prior to the start of the 2010 U.S. Open Championship in Pebble Beach, California, with a stunning 6.2 carat oval diamond with trillion diamonds on each side of the center stone. 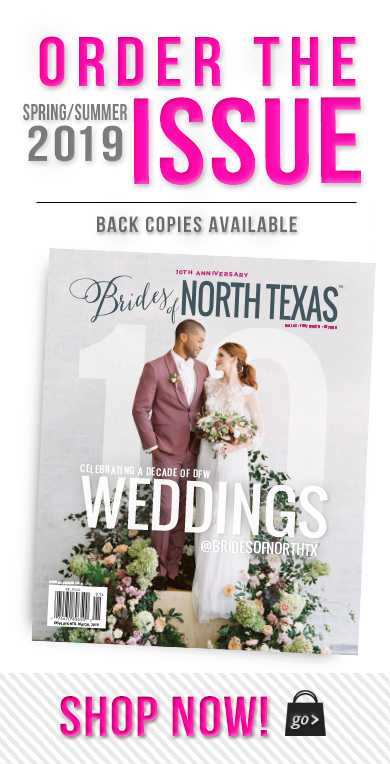 Ok, ok, so we can’t give everything away…you’ll have to pick up the new Fall/Winter 2011 issue of Brides of North Texas magazine and flip to page 44 to read the full scoop on the proposal, this beautiful couple and their love story! 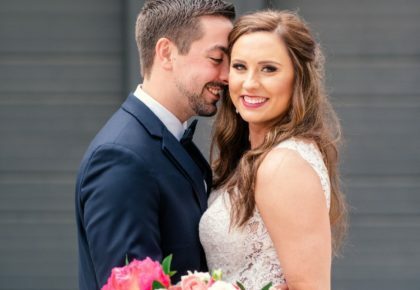 Enjoy these amazing pictures from their grand and beautiful wedding, shot by Edmonson Weddings. 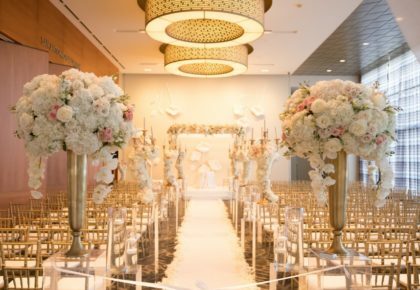 Every detail of the wedding was beautifully done, thanks to the help of Misty Duncan of Misty Duncan Events and an A-list team of wedding pros. The couple chose the elegant space of Piazza in the Village, located in the charming Village at Colleyville, for both their wedding and reception. The ballroom was dramatically lit by Beyond and decorated in style with the help of BBJ Linen, The Wildflower, Dallas Affaires Cake, Co., Posh Couture Rentals and Liland’s Special Events. The couple made their getaway in a vintage car from Blue Diamond Limousines before a romantic honeymoon in Aspen. 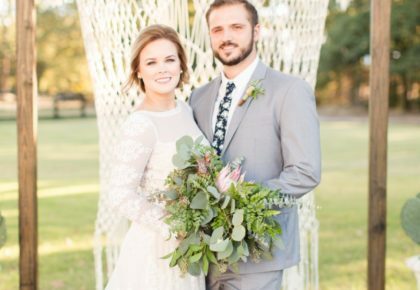 We were honored to feature Hunter and Kandi Mahan’s gorgeous wedding in the latest issue! Cheers!